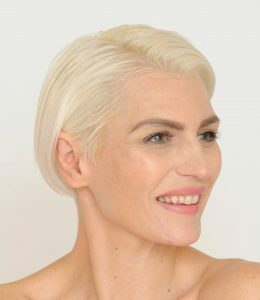 Our non surgical facelift is a procedure that is customised to each person’s need’s and usually compromises a combination of technologies such as needling, laser and superficial vitamin injections. Unlike other treatments that work by either paralysing muscles or adding volume to the face, our treatment works with your skin’s natural healing properties. We do not use inject Botulinum toxin nor use fillers. Our treatment is perfect for those that are not yet ready to take that step and wish a more natural approach to anti ageing treatments. We work by making a slight lesion to the wrinkles on the face and neck including areas around the eyes and lips. This activates the body’s own natural healing powers and the wrinkles and features are plumped up. We will also use a laser to remove sun damage and age spots. We will finish off by injecting our own cocktail of skin vitamin to rejuvenate from the inside out. More than one treatment may be needed for desired results but you should see considerable improvement even after the first treatment. A consultation is necessary. You may book online by using the button on the upper right hand of this page. If you need further information please call us on 01883 344273.